Five years ago today, on April 13, 2009, Harry Kalas died at age 73. Kalas (pictured at right circa 1980) was the broadcasting voice of the Philadelphia Phillies from 1971 through early 2009. My favorite call by Kalas is Mike Schmidt's 500th career home run on April 18, 1987, at Veterans Stadium in Philadelphia. You can watch and listen in this clip from Major League Baseball on YouTube. This is the very short piece I wrote for the York Daily Record/Sunday News on the day Kalas died. 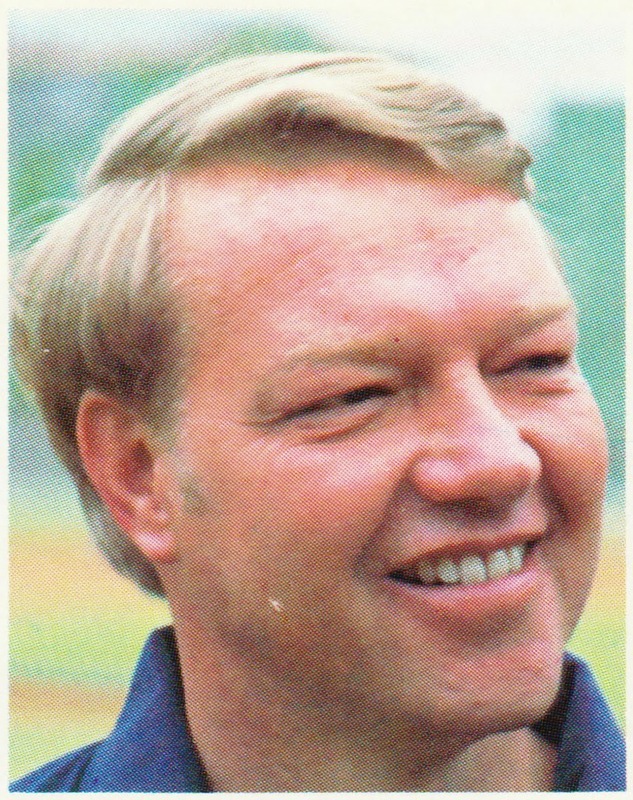 Harry Kalas, who was perfectly described as “the narrator of our memories”; whose baritone delivery could be picked out in a half-instant from all the static and swill on the AM band; whose easygoing play-by-play and banter with Richie Ashburn was a constant summertime companion in the heads of Phillies fans as they cooked meals, folded laundry, ran errands, relaxed down the shore and nodded off at night; whose dramatically rising tones sent chills down the spine with descriptions of Michael Jack Schmidt’s Hall of Fame career and the exploits of four World Series teams; whose time in the Phillies’ broadcast booth was bookended by Boots Day and Troy Tulowitzki at-bats; who had us almost convinced that Chunky Soup was a good and healthy idea; who made “Outta here!” forever a part of the baseball lexicon; and whose voiceover work on NFL highlight reels stands on its own high pedestal despite the impossible challenge of following in the footsteps of John Facenda, sat down with his notes and scorebook in the press level at Nationals Park in Washington, D.C., for the seventh game of his 39th season as the voice of the Philadelphia Phillies on Monday afternoon and died. “In many ways, Harry is the narrator of our memories,” said NFL Films president Steve Sabol. And now, our narrator is himself a memory.